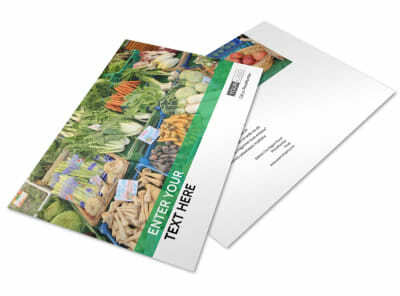 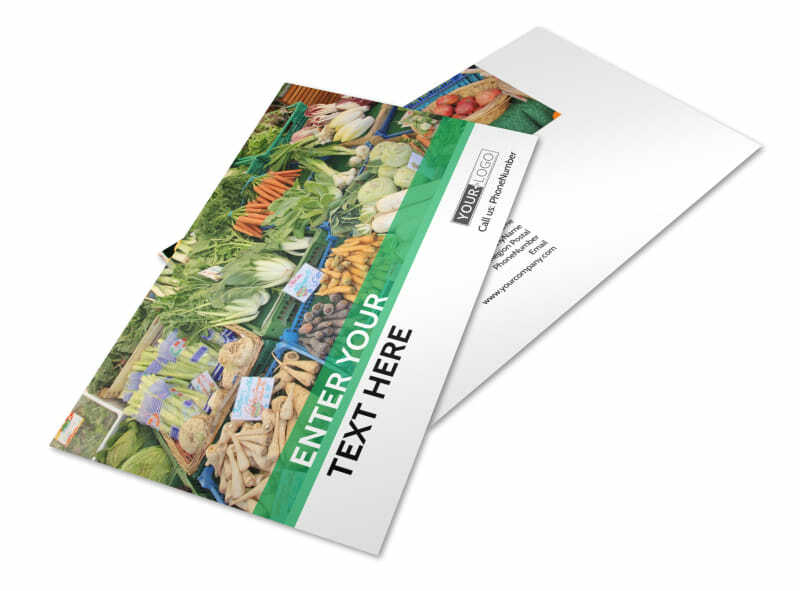 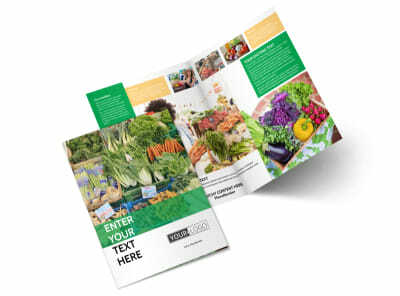 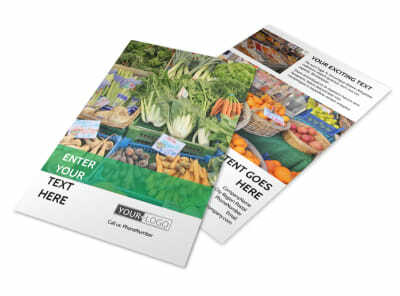 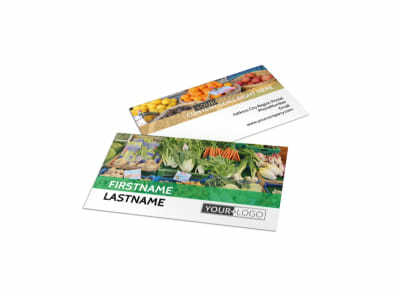 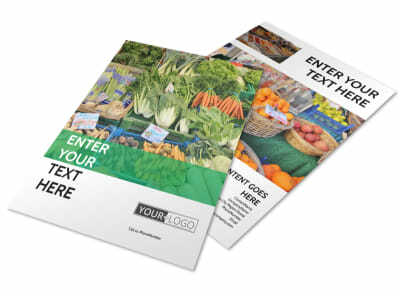 Customize our Local Produce Market Postcard Template and more! 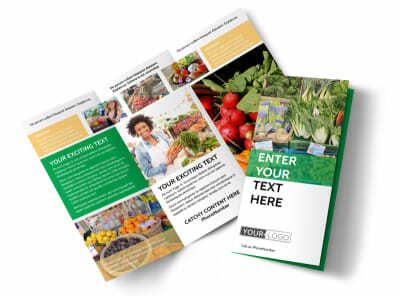 Let area residents know that healthy, home-grown options are out there with local produce marketing postcards customized using our editor. 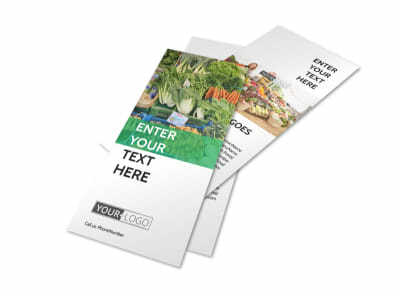 Select a template, and then upload gorgeous photos of your veggies, fruits, honey, and other goodies, before adding custom text, colors, and more. 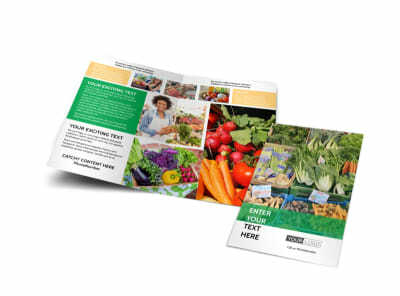 Start the design process now, and unearth a compelling postcard design in minutes.